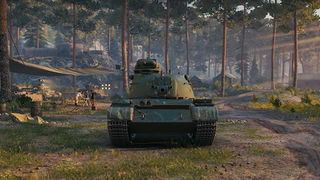 The 59-Patton is a Chinese tier 8 premium medium tank. 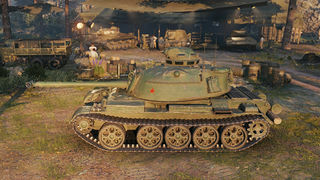 After 1960, Chinese government launched the development of a new tank. The engineering experiments included a wide use of previously produced Type 59 tanks. One vehicle was equipped with the turret, gun, and fire control system of an American M48A3 tank. 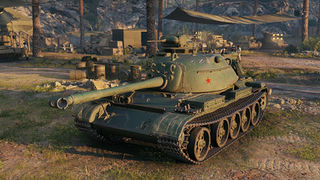 Basically a Chinese version of the American T95E2, with some differences in terms of performance. This page was last modified on 2 February 2019, at 11:33. This page has been accessed 66,549 times.